Here at Woodwind, we pride ourselves on having the safety of the horse and rider being of our utmost priority. 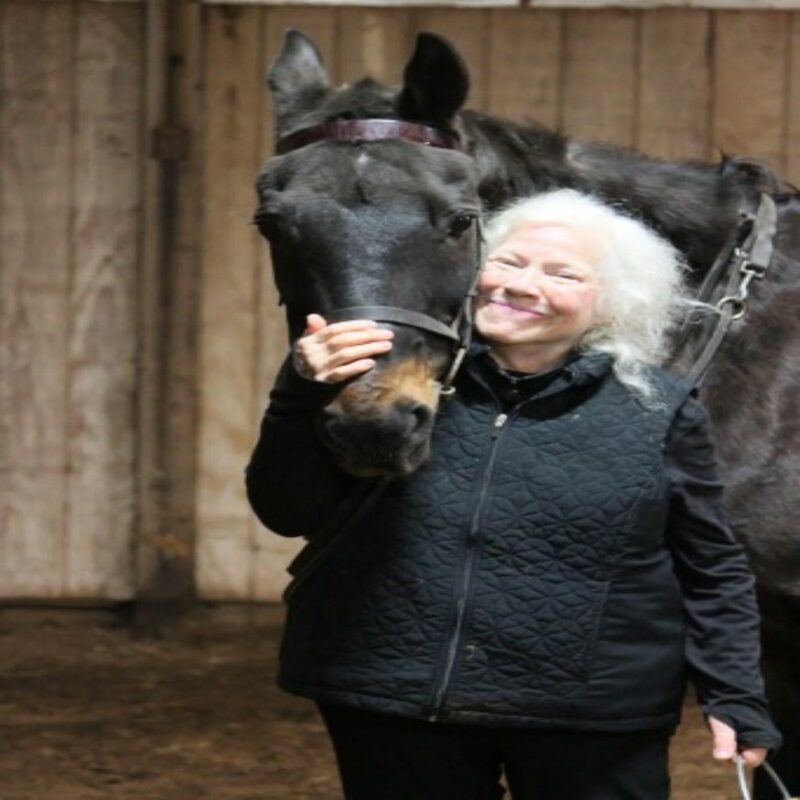 All of our instructors are highly knowledgeable horse people who have spent their lives in the business. Combined, our staff has over 120 years of experience! Few places exist where you can find that much know-how under one roof. Our lessons cater to people from all walks of life and all skill levels. From the youngest tiny-tots to those who have already shown, our lesson program is diverse and well-rounded and recognized at a national level, with Bonnie Kittredge having been inducted as a 2009’s Hall of Fame Instructor of the Year. 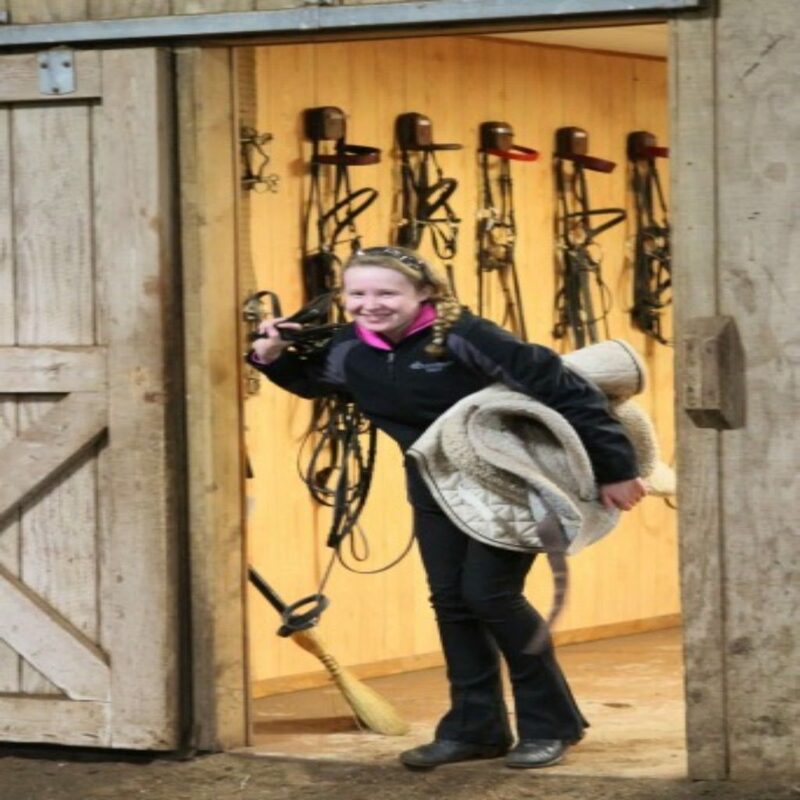 Lessons are held all year within our indoor facility at our School Barn. 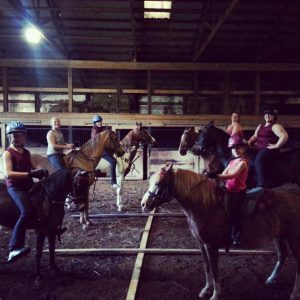 Our indoor arena is a safe environment for new and experienced riders to progress in their riding abilities. You may call 815-455-1604 or email us in regards to scheduling, canceling, or rescheduling! Check out our New Student Handbook or print out our Release Form below before coming in for your first lesson! Woodwind Farm also offers special lesson events for both in and out of barn riders to come in and receive extra or first time horseback riding experience! For our in-house riders, we offer fun Kid’s Ride Nights and Advanced Adult Wine and Ride Nights for our more experienced adult riders! 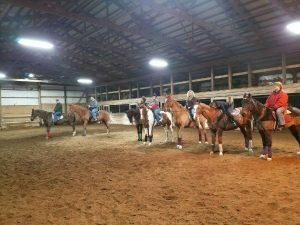 Whether our riders are looking for a bit more practice or are looking to make some new friends, whether 2 or 4-legged, these evening rides are a great place to start! 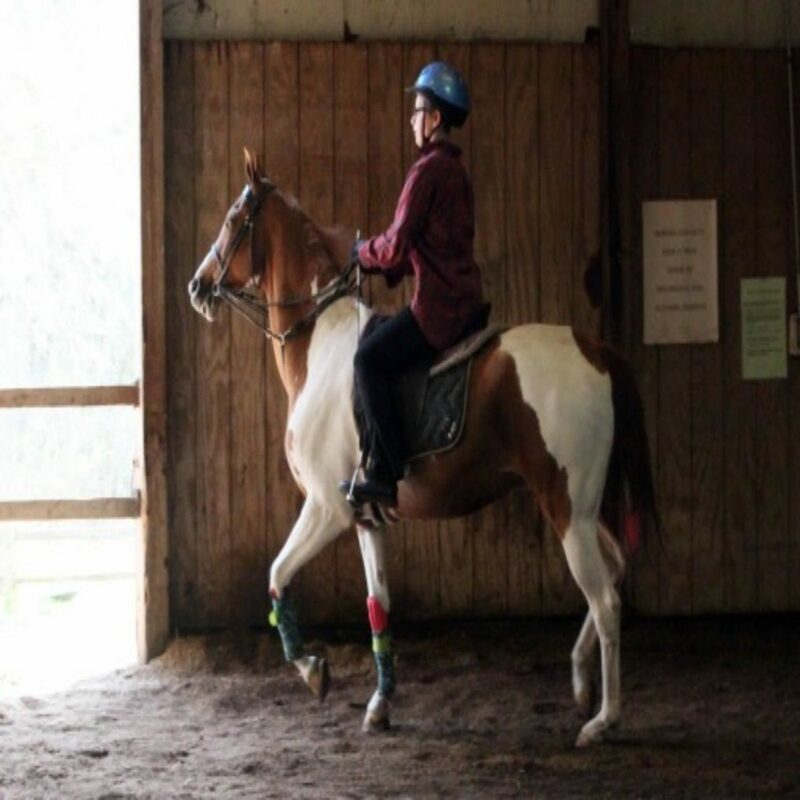 For our new riders, we offer promotional “Bring a Friend” weeks where our current riders can invite a friend in for a lesson and both receive a discount. We also offer Beginner Adult Wine and Ride Nights and specials around holidays! Make sure to join our mailing list and keep up to date with our Facebook Page to get info on these great events! All packages are based on a four week month. 1. No rider will be allowed to ride in shorts, skirts, dresses or open toed shoes. 2. 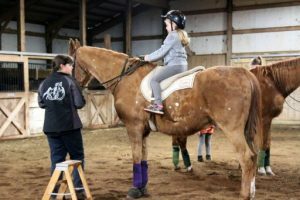 Helmets are required by all students at Woodwind Farm –If a rider does not own a helmet past their 4th lesson, they may rent one for a $2 rental fee. 3. Please make sure to notify your instructor in regards to the teaching of your child if they have special needs. We must receive notification of a canceled lesson 6 hours prior to the missed lesson. One must cancel by means of a phone call or e-mail. Failure to do so will result in required payment of the missed lesson or forfeit of a pre-paid Groupon lesson. No refunds will be made for no show lessons. We must receive notification for it to be considered a missed lesson. Missed lessons can be made up six days a week. If you schedule a make-up lesson and cannot attend, you must call and cancel or forfeit the make-up lesson. WoodWind Farm does not offer refunds under any circumstances. Payments made for lessons must be used for lessons only. There is a $25 returned fee on returned checks and must receive the payment for that check prior to the next lesson. WoodWind Farm would not have ever become the successful barn that it is today without the energy, enthusiasm, and support of our riders, their families, and our barn community.